Anyone know anything about one of these? What should I look for? It's a barn find. Can't offer any info about softrides. But what's the asking price? It might be worth it just for canabilizing. Softride Company Was in Metro Seattle, IDK if they're even still in business.. This photo is from a CL ad originating in Stockbridge, MI that has at least one additional photo. I remember this guy (name on bike). I raced triathlons, many in Michigan, in the late 80s to early 2000s. I don't remember seeing this bike though. 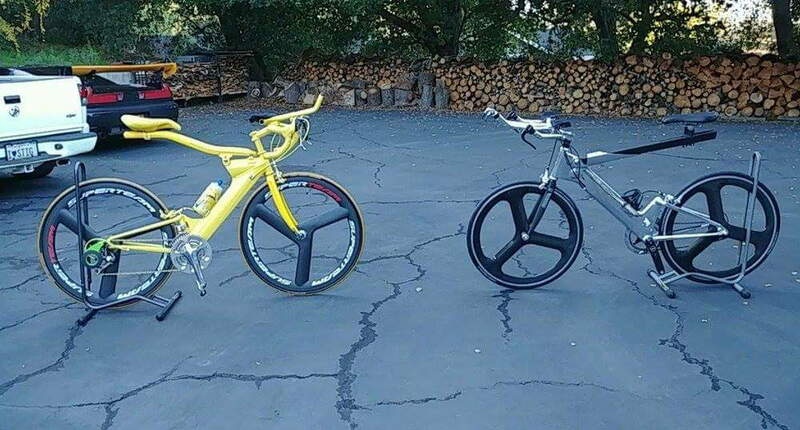 It looks like an late 90s/early 2000s Softride Rocket TT model, likely 650c wheels based on the CL ad. Also, the paint job is custom, and the beam has been altered. You can find Softrides in original condition and rideable shape on eBay for $300. They were fast bikes on the flats because of better than average aerodynamics, but dogs in the hills because of their relatively greater weight. Also, if you didn't have a smooth pedal stroke, you tended to bob along as you rode which reduced efficiency. The beam design typically soaked up road shock, so many people like them for long rides in states with rough roads (e.g. Michigan), but this time-trial/triathlon model had a straight stiff beam that, subjectively, reduced the road shock less than strictly road models. My opinion -- it looks too rough and unloved, even for $150. 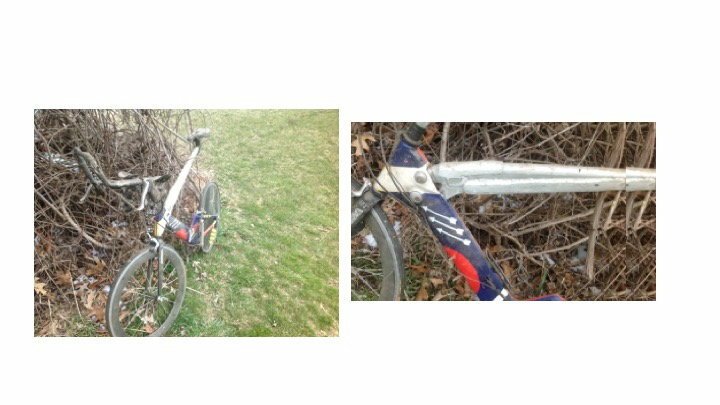 The usual mechanical issue with these bikes, especially those with the aerodynamic wing-like aluminum or carbon frame, occurred at the beam/frame interface. The CL ad indicates the condition is salvage. It's an honest assessment. did stig ride the bikes? I really like the mirror finish on the right. Have only seen that a few times. Nice wheel decision too. What's going on in the yellow bike derailleur area? I put that on there for storage as I don't ride the Softrides as much due to parts being hard to find.